Jeannie Sings Christmas at Waterville Valley, N.H.
Also includes "An Axe, an Apple, and a Buckskin Jacket"
Silly Christmas songs such as Giddyap, Giddyap, Whoa Santa!, A Doodle-Oodle Christmas Song, The Jolly Gent Who Jingles etc. Mr. Bird Rollins "The Good Man"
Features Ed Ames, Marian anderson, Eddy Arnold, Chet Atkins ,Jim Reeves, Mario Lanza, Al Hirt, John Klein, John Gary, Sergio Franchi, and more! Witrh many disney characters including Winnie The Pooh, Mickey & Minnie Mouse, Goofy, etc. 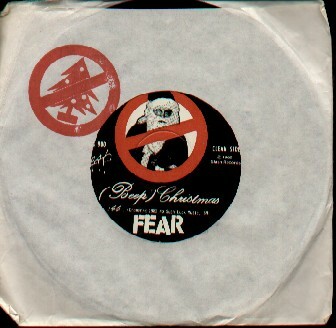 VERY RARE PUNK CHRISTMAS 45! Records, CDs, Memorabilia, Cassette Tapes, DVDs, and more for over 25 years! We are cutomer oriented, and you will always feel at home at The Record Collector.